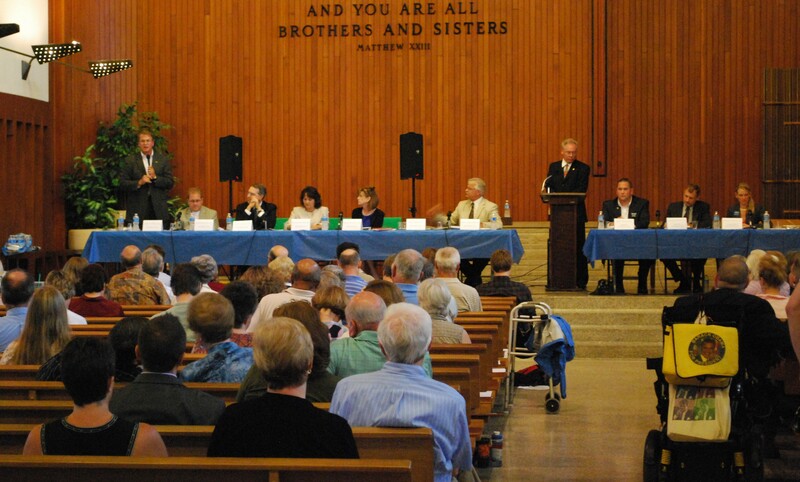 Speakers, candidates discuss disability concerns at forum. Aaron Smith told a crowd of 150 people gathered at the First United Church for a “Candidates Forum on Disabilities” that because he has autism, he had trouble making friends as a child. He said in middle school he was teased for being different, and in high school he suffered physical bullying. But Smith persevered, graduating from Bloomington High School South in 2003. Today, thanks in part to LIFEDesigns — a Bloomington nonprofit organization that provides services and support to people with disabilities in south-central Indiana — he has several friends, a job at Goodwill and a spot on a Special Olympics basketball team. Smith was one of several people who spoke about what it was like living with a disability, or caring for someone with a disability. Another was Trish Ierino, Stone Belt’s board president, who is the primary caretaker for her sister, Cheryl Thompson, a Stone Belt client. She said when Thompson was growing up in the 1970s, she was separated from other students in the schools. Ierino said when she applied for a Medicaid waiver for her sister, it required filling out mounds of paperwork. Then she was told by an official that Thompson was facing a 7- to 10-year wait. “I asked myself, ‘Why does it need to be this difficult getting special needs services in Indiana?’” she said. But when Thompson’s mother turned 80, Thompson was granted a Medicaid waiver. Today she sews, cooks, shops, does yoga, works part time at Stone Belt and the Indiana University Police Department, volunteers at the Monroe County Public Library, participates in Special Olympics, and gets around town thanks to Bloomington Access. The purpose of the forum was to provide political candidates an opportunity to hear from their constituents about disability issues, and to allow constituents to learn more about the candidates’ commitment to helping those with disabilities. Nine political candidates participated in the forum — state Rep. Peggy Welch, who is seeking re-election in District 60; Republican Peggy Mayfield, who is challenging Welch in District 60; District 61 state Rep. Matt Pierce; Democrat Mark Stoops and Republican Reid Dallas, who are seeking the Indiana Senate District 40 seat recently vacated by Vi Simpson; Democrat Shelli Yoder, running for the 9th District congressional seat; District 46 state Rep. Bob Heaton, a Republican, along with his opponent, Democrat Jim Mann; and Republican Matt Ubelhor, who is running for re-election as state representative in District 62. Most of the political candidates told the audience they were eager to hear their concerns regarding the disabled community, urging them to contact them by phone or email. Some incumbents cited their efforts in the Indiana General Assembly to help individuals with disabilities, and some challengers said they were not doing enough. Republican Reid Dallas went after Monroe County Commissioner Mark Stoops — his opponent in the Indiana Senate District 40 race — saying many of Monroe County’s polling sites are not accessible to people with disabilities, and that Rural Transit deserved more funding. “Monroe County needs a state representative who will not just talk about this issue but actually support people with disabilities,” he said. Stoops countered that Monroe County is doing an outstanding job providing services to folks with disabilities, and said in 2006, when he was president of the county council, the council gave Options, now incorporated into LIFEDesigns, a tax levy that enabled the nonprofit to increase its funding by $300,000 a year. A common theme of the evening, reiterated by several candidates, is that investing in people with disabilities will save the state money in the long run. “Early intervention is key,” Pierce said. “If we spend money now, we will save plenty of money later.” “Our prison system is the largest mental health system in the state,” Mayfield said. “When it comes to mental illness, it’s pay now or pay later.” Welch said it’s imperative to educate state legislators and the public that mental illness is not a weakness but an illness that needs to be treated — and there must be parity in state coverage for mental and physical illness. This event was a partnership among Stone Belt, LIFEDesigns, Mental Health America, NAMI of the Greater Bloomington Area and the Arc of Indiana. 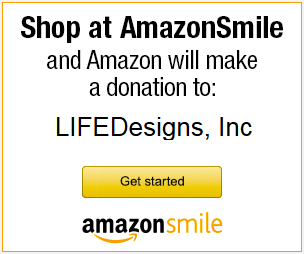 LIFEDesigns’ First Newsletter is Here!